The rental house is proof you don’t have to renovate to turn an old house into a stylish home! Lots of painting, DIYs and decorating went into this one! See more of the coastal foyer here. See more of the living room here. We painted in here, switched out the cabinet handles and did some small decorating. See more of the rental kitchen here. We painted in here and turned this blank wall into a functional back foyer. 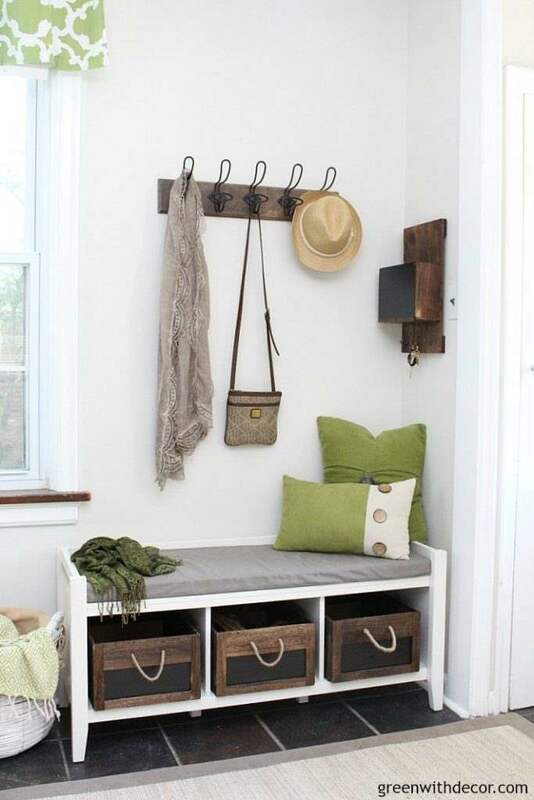 See more of the small mudroom here. We painted and decorated in here – and built a farmhouse dining table and matching benches! See more of the coastal farmhouse dining room here. We turned a corner of the dining room into a home office nook. We turned a blank patio into a fun space to enjoy outside! See more of the rental patio here. 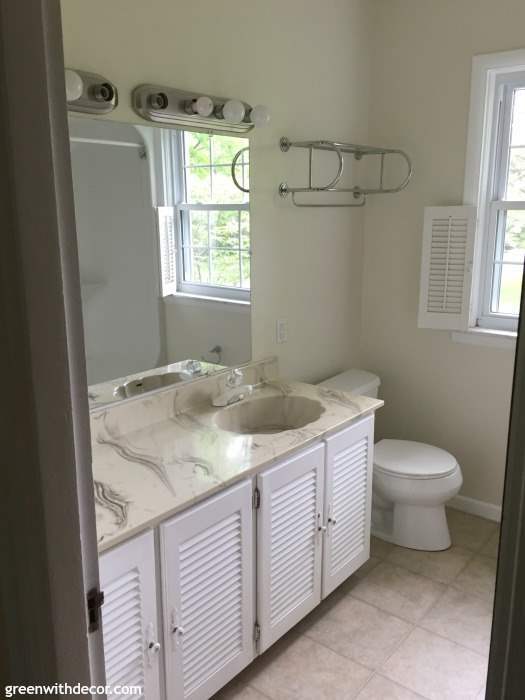 All painted and decorated – for just $100! 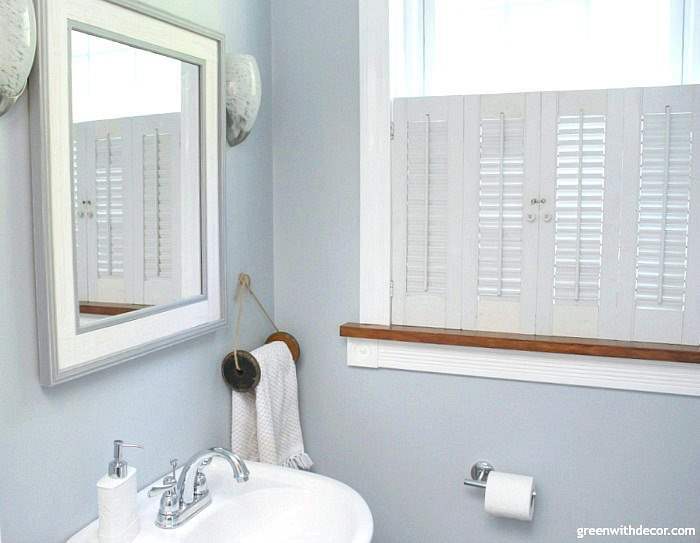 See more of the coastal bathroom makeover here. See more of the bedroom makeover here. See more of the bathroom makeover here. We painted to spruce it up a bit in here. We didn’t do anything to this space but had to share the wood paneling and bar!